Security is a major threat to anything connecting to the Internet or wireless network. The theft of credit card information, user profiles and essential data occurs on a daily basis, yet attention is directed to the problem only when a major data breach makes headlines. Most of the large corporations integrate a high level of security into their networking infrastructure, right from the application development stage. While they constantly face threats and outside hacks, it does not mean smaller businesses and application developers have lesser things to worry about. A lot of data, irrespective of who holds it, is valuable. Simple information like DOB, Social Security numbers, and shared passwords can allow hackers to break into an organization’s security perimeter. By improving upon crucial security and back-end problems, the chances of a breach can be greatly reduced. Creating a mobile application that not only runs on multiple operating systems, such as iOS and Android, but is able to resize and function properly on different screens, resolutions, and dimensions, is far more challenging than many might realize. It is not simply a copy and paste process from one application to another. Beyond creating the necessary programming capable of working on these different devices, making sure the apps are secure and possess correct back-end integration is vital to the quality of the app and even the longevity. There are some challenges involved in Back-end integration and security that all mobile application designers deal with, regardless of what the app is for. All mobile applications collect data. Whether it is a simple username and password all the way to banking information, Facebook log-in content and other data, there is a considerable amount of data passing between the application and the user. This data must be stored somewhere and is usually done so through a server either owned and operated by the mobile application provider or rented out through a larger provider. Regardless of the location of the server, and data storage, insecure data storage is one of the largest problems associated with the integrity of the app. If the data is not stored in a secured manner, hackers can gain access to everything the application collects. Almost every month, news breaks of a major company, such as Home Depot, Target, Starbucks and others having their network hacked, which releases hundreds of thousands if not millions of stored credit card numbers. Inferior data storage leads to this, which is exactly why improved security is vital. Data Leakage: A leak, no matter what it is involved with, is never good. A data leak is the equivalent of a dam leaking. It might start out as a small problem, but if it is not addressed immediately, it can drastically turn into a major situation. Preventing any data leakage is a major challenge all mobile application developers must face, whether it is financial information, login data or healthcare records. Constantly monitoring the application performance for possible holes is a must. That is just part of the industry and there are times where an expert hacker can work their way into the network. Continuously monitoring data storage and a network is vital so these leaks can be identified early on so data loss is limited and reversed as quickly as possible (hopefully, before anything major is captured from the outside). Server Side Controls: Selecting a top of the line server is a must. Not all servers come with extensive controls. The back end server needs to be protected against malware and outside attacks. Having these server side controls makes it easier to implement upgrades and alter certain features in order to block further data loss if there is a breach. Inferior server side controls may make this not possible. Untrusted Inputs: A mobile application has the ability to obtain and record information from all sorts of sources. On certain occasions, hackers might try to infiltrate an application by sending it a request or presenting it as a desirable input and pose a threat to the stored data. However, it is necessary to know all inputs when connecting and building the mobile app, which is why avoiding all untrusted inputs is a must. Broken Cryptography: Cryptography protects an application from hackers by encrypting it. However, if the encryption has been hacked before, it means there is a blueprint for other hackers to use in order to gain access. Using encryption programming that is constantly upgraded to prevent hacks is a must. This is why avoiding broken cryptography is vital in the security and back-end integration of the application development; otherwise it interferes with app security. Security and back-end integration are two crucial aspects of application development and design. Regardless of if the app is providing filters for the phone’s camera or for online banking, without superior security and back-end integration it puts both the users and the company at risk. By addressing these five issues, it makes it easier to secure the application and the networking used to store collected data. A client and user must always feel secure while accessing an app; otherwise they simply are not going to use it and will look elsewhere. 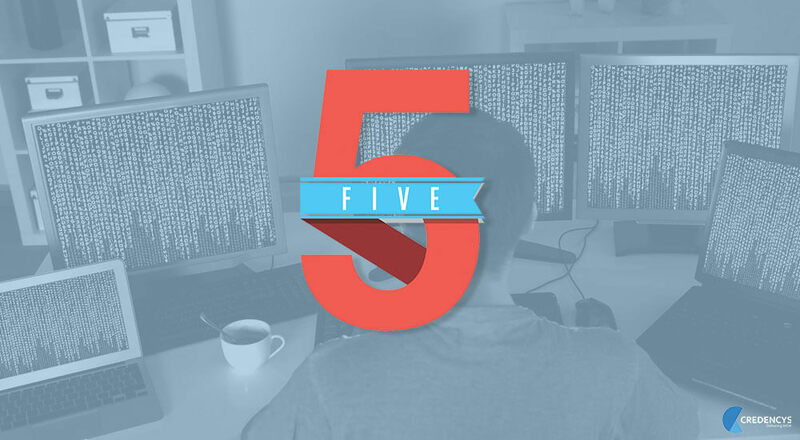 Protect the app integrity by addressing these five challenges efficiently.